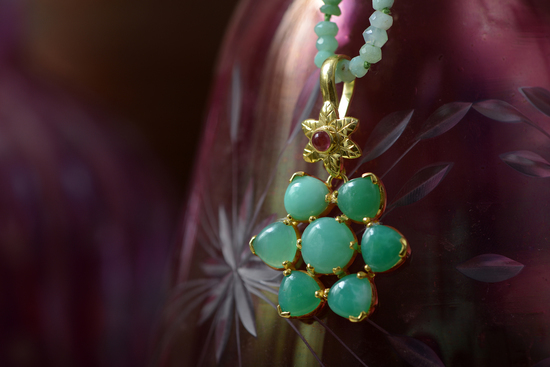 Emma Chapman's unique, handcrafted, gemstone jewellery, is desirable luxe- bohemian treasure for today. .
Emma Chapman has won the Lux Magazine Global Excellence Award for "The Best Luxury Handmade Jewellery Designer.. 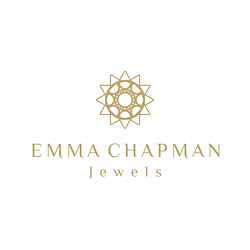 The brand Emma Chapman jewels has exhibited at London and Paris Fashion Week and creates opulent, glamorous and beautiful designer gemstone jewellery which is exotic but has a contemporary edge. 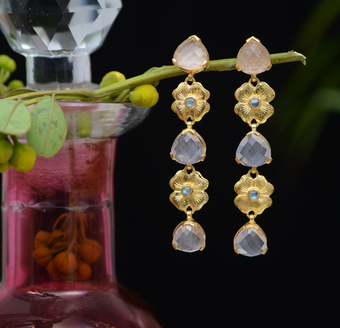 Working in family run workshops in Jaipur, India Emma draws on ancient couture techniques to creates gorgeous and glamorous luxe-bohemian treasure for the 21st century, and each piece of jewellery is handmade. With a background in the Film and Theatre world, where she has worked with celebrities ranging from Uma Thurman and Catherine Deneuve to Helena Bonham Carter, her work has been featured in numerous articles including in the Times, Harpers Bazaar, Elle Magazine, Harpers Bazaar, Telegraph and Vogue..
All purchases in the UK will sent by Royal Mail. We urge you to opt for Special Delivery by Royal Mail, as this is a tracked and signed for service. If we send an item by normal delivery and it gets lost we cannot be held responsible for it. 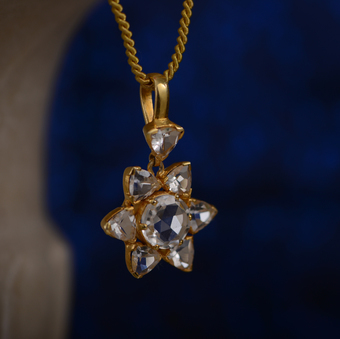 All items come in a beautiful hand made pouch inside a handmade gold box.